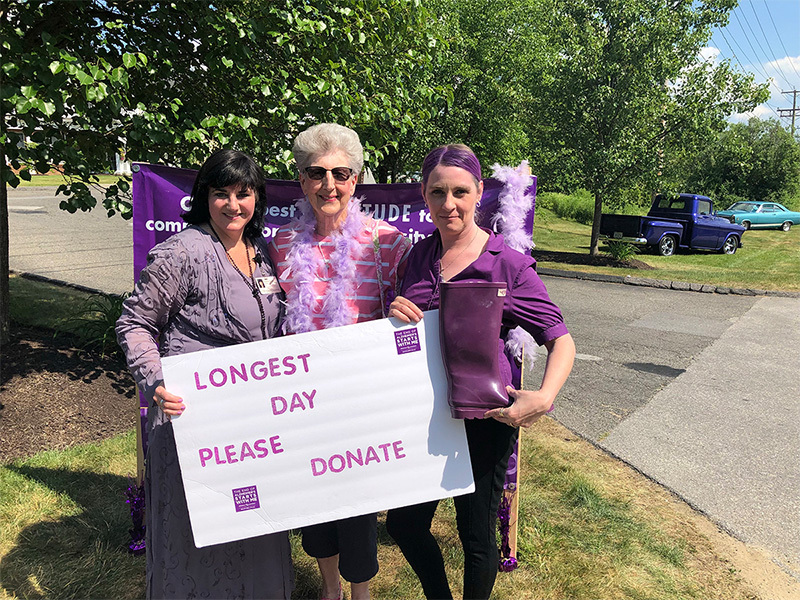 While most of Connecticut was celebrating the first day of summer on June 21, 2018, Brandywine Living at Litchfield spent the day spreading awareness and raising money for Alzheimer’s disease via The Longest Day®. The Alzheimer’s Association hosted its first The Longest Day® fundraiser on the summer solstice in 2012 and it has become their second signature fundraising event. 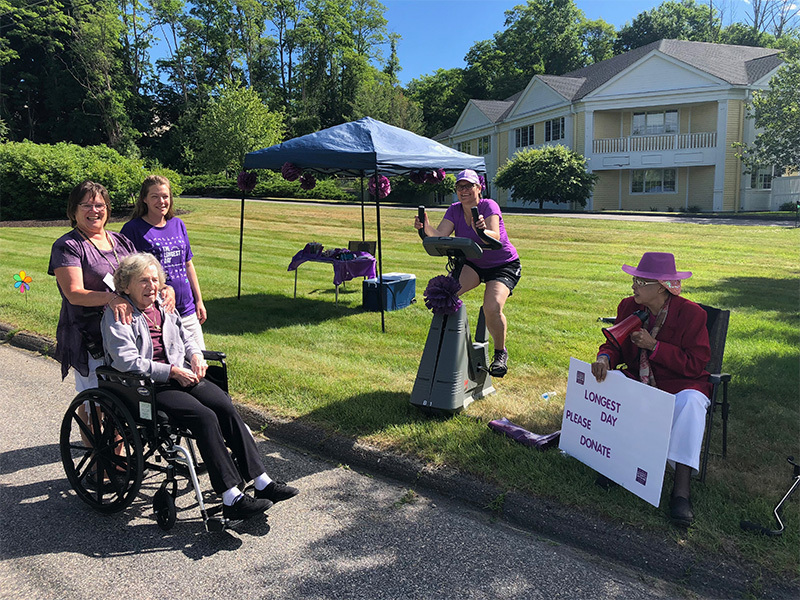 Teams across the globe spend the day honoring those facing Alzheimer’s disease by participating in physical activities and raising awareness. 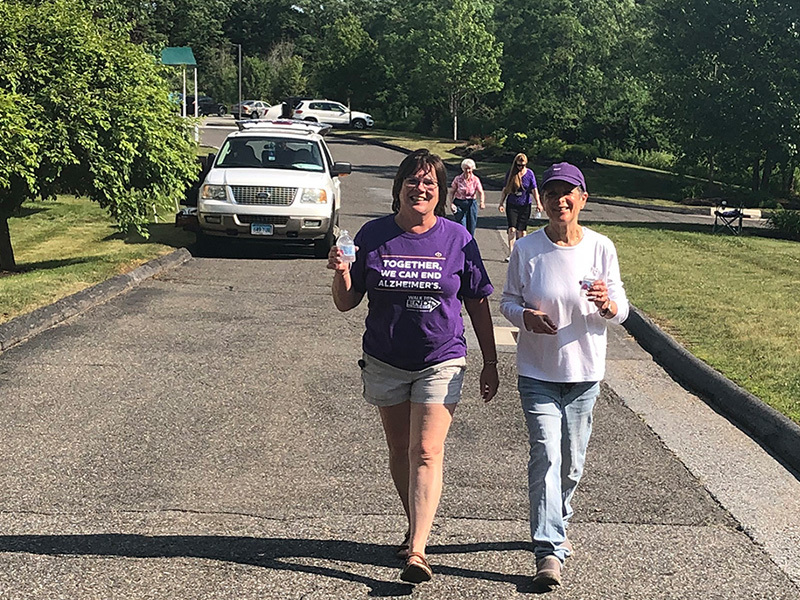 Brandywine Living at Litchfield participated by hosting a coin drop and walk outside of their community. 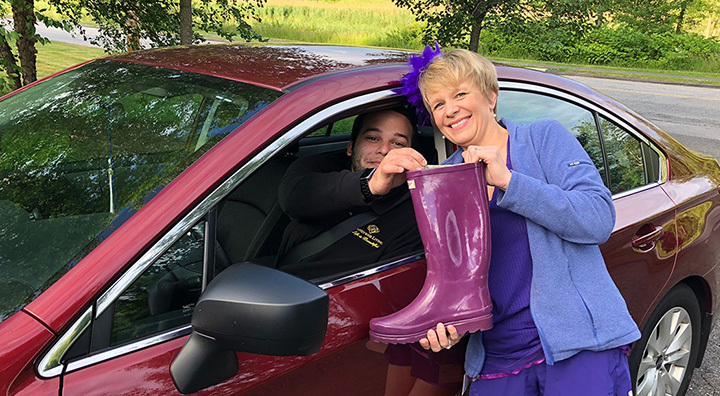 Team members took turns collecting funds in a symbolic purple boot, while residents waved signs to draw the attention of visitors and passing cars. “The Longest Day® has not only become a healing process for team members who grow attached to resident friends, but also for resident families. Last year, one of our residents who was diagnosed with Alzheimer’s passed away and his wife attended The Longest Day® just two weeks later. Her strength during such a difficult time was extremely moving for me. Not only did she lose her husband to Alzheimer’s, she lost her mother as well. It was heartbreaking to watch someone experience two family members lose their battle to Alzheimer’s. 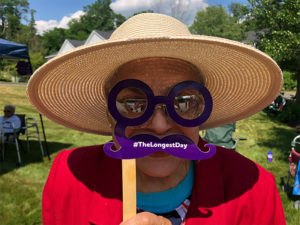 She also came out this year to support the cause and we look forwarding to continuing that bond every year with all families,” said Tobylynne Yurchick, Escapades Producer of Brandywine Living at Litchfield. Additional activities included a walk around the community that helped raised money online. 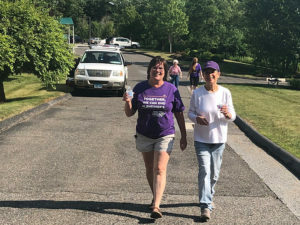 The community’s combined efforts raised an estimated $3,600 for the Alzheimer’s Association. Meers, resident of Brandywine Living at Litchfield, commented, “I think everyone had the most wonderful time giving back to charity. It brought purpose to many of us, while having a fun time together. I enjoyed the day because I knew I was partaking in giving back to a cause that hits home for so many people! Brandywine Living at Litchfield is dedicated to raising awareness and offering support to Connecticut families affected by Alzheimer’s disease. For more information on special events and support groups offered, please contact 860-567-9500.